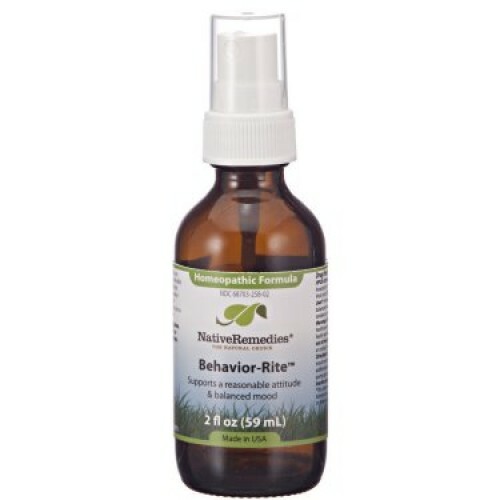 Behavior-Rite is a safe, effective, non-addictive natural remedy made of 100% homeopathic ingredients. 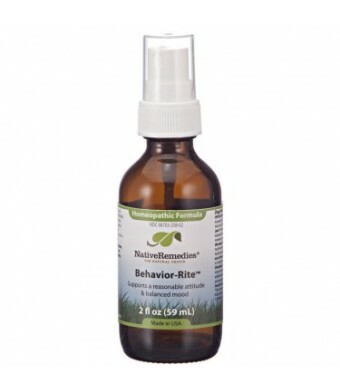 Formulated by our team of experts in natural medicine, Behavior-Rite helps to promote reasonable attitudes and balanced moods in children and adults. Behavior-Rite for temporarily reducing temper outbursts and irritability. Using a unique, proprietary blend of five highly diluted and scientifically selected natural substances, Behavior-Rite provides an effective and safe choice for supporting pleasant dispositions and reasonable attitudes. Taken internally, Behavior-Rite contains no artificial colors or preservatives and is available in a convenient, concentrated spray formula. Since homeopathic remedies have no known side effects or interactions with prescription medicine or herbal supplements, it is also safe to use for all ages. To ensure the safety of Behavior-Rite and to provide the highest quality, most effective product, all Native Remedies homeopathic medicines and biochemic tissue salts are manufactured in a FDA-registered and cGMP-compliant facility under the supervision of qualified homeopaths and responsible pharmacists. Individual ingredients are listed in the Homeopathic Pharmacopoeia of the United States (HPUS). For more than 200 years, homeopathy has been used to provide relief for a broad array of symptoms from a number of health conditions. It uses the premise of like-treats-like to help address specific symptoms, utilizing natural ingredients to provide temporary relief from the same symptoms that at full-strength they would cause.